A group of old friends reunite at a remote farm. Away from the hustle and bustle of the city, they unwind beside a bon fire with the help of some alcohol and drugs. The reunion rekindles old flames and uncovers tension between the guests, specifically between Joseph and Alex. The tension rises when two teenagers, Franny, Joseph's daughter, and Rebeccal, Alex's daughter, go missing without a trace. The two men must put aside their differences and work together as they search for their daughters. Their survival skills and and parental instincts are put to the test as their search brings them to the vast woods behind the farm. 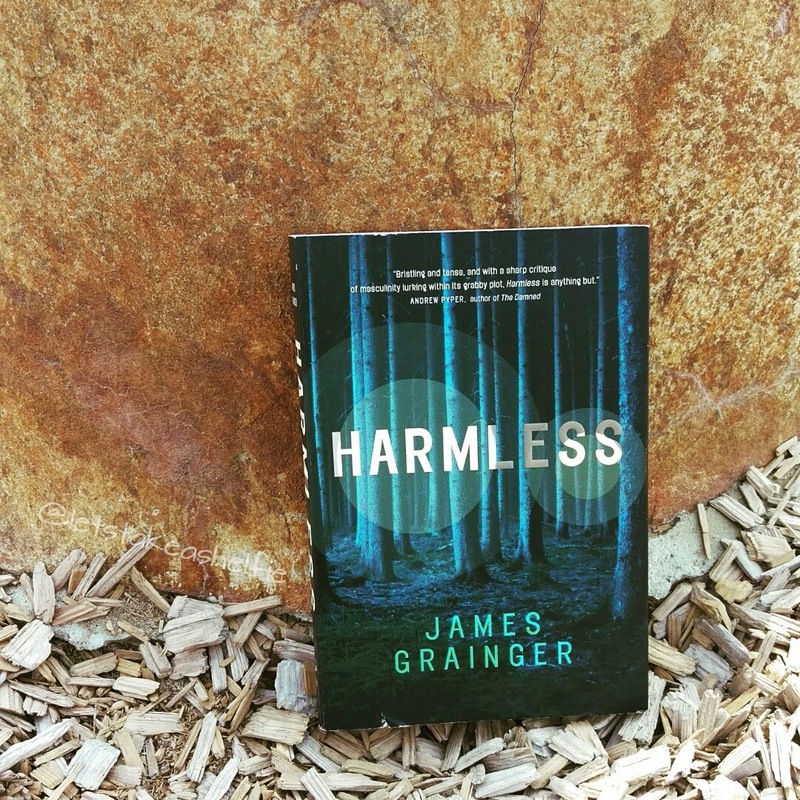 I was excited when I received my copy of Harmless and started reading it as soon as it arrived. My first impressions of the book was that it was written very well. I appreciated the detailed description of the farm and started to get a sense of who Joseph was. It was clear that he had a distant relationship with his daughter and was clueless as to how he can even begin to mend it. As the next couple chapters went on, I lost a bit of interest in the book. New characters were constantly getting introduced and it was difficult to understand where they fit in the story. There were times I had to re-read pages because I started mixing characters up. I was actually fearful that this book would end up in my DNF pile. I read some reviews on this book and it appeared that I wasn't alone in my feelings. However, many of these reviews mentioned that when the search for the girls began, that's where the book took off. This was enough motivation for me to pick the book up again and I'm glad I did! Once the search Franny and Rebecca began, it was hard to put down. The emotions that both Joseph and Alex were feeling leapt off the page and made for an enjoyable read. For me, it really brought into question of what makes a man, manly? Is the true definition someone like Alex - Type A personality, resourceful and fearless? Can someone like Joseph, a tech savvy urbanite also be masculine? These questions kept running through my mind as I followed Joseph and Alex through their search in the woods. Although I did not love the beginning, the middle and end of the book were fantastic. I think the book may appeal to a more masculine audience, but it's definitely worth the time for any readers who enjoy mystery and thriller novels. I remember while reading parts of these books, I had wondered where the author's inspiration for Harmless came from because it felt so real. Lucky for me, I was given the chance to have this question answered. Last week I attended an author reception hosted by Random House Canada and James Grainger happened to be one of them. 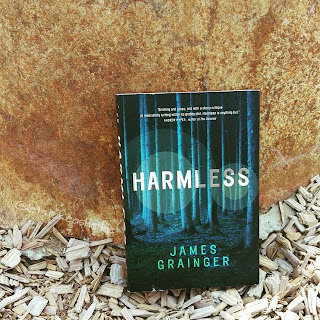 One of the topics he covered in his presentation was how Harmless came to be. A few years back he experienced his own scare when he was unable to locate his daughter who went missing in a large park. He described the feelings of fear that he experienced and said, "my heart was replaced with a stopwatch" with each second ticking by. He was overcome with such relief when his daughter jumped out of her hiding spot a few hours later. These emotions are definitely felt as you flip through the pages of his book when Joseph and Alex are in the woods searching for their missing daughters. James' presentation and the conversation I had with him afterward, really helped put things into perspective. Disclaimer: I received a finished copy of this book from Random House of Canada for review purposes. All opinions are my own.